As those of you who are familiar with the site know, aside from being gluten-free, I don’t really subscribe to any specific diet. My going philosophy is to eat a lot of good, with a little bad. Which ensures that my diet is equal parts French fries and kale. But after my research for The Wellness Project’s Gut Guilt month, I’ve begun to take a slightly different stance on where meat falls on the good-bad spectrum. Despite the carb-free, high protein trends, the majority of scientific studies lean towards the idea that we could all benefit from eating less animal protein. I’ve slowly started shifting my eating habits in this direction ever since my dad returned home from vacation one year ago and declared he was becoming a pescatarian. 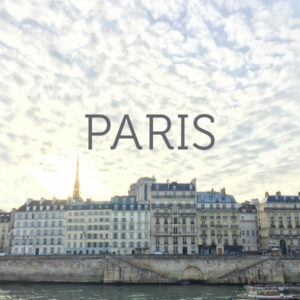 My parents had visited some vegan friends in France, and the experience left such an impression it was enough to convince my dad to give up half of his lifelong meat and potatoes routine. My mom, on the other hand, was unfazed by the experience, which only left me more intrigued by what could have gone down at that New Year’s Eve dinner. So a few years later, during my summer stint in the Basque region, I casually invited myself to the same friends’ house for a free bed and informal PETA lecture. Over dinner at a fancy restaurant, where the chef had probably never encountered a vegan before, they doled out fun facts from The China Study while we ate our composed plate of vegetable garnishes and the people around us awkwardly inhaled their foie gras and tried to ignore us. Their argument didn’t jar me in the same way that it did my father (I ate a steak frites for lunch the next day). But it definitely had a slow burn effect. Learning more about modern meat production and the pollution of our oceans during my book research made me realize that the majority of animal products today are much more toxic and inflammatory than what our hunter-gatherer ancestors were accustomed to—and not just for our bodies, but for the environment. 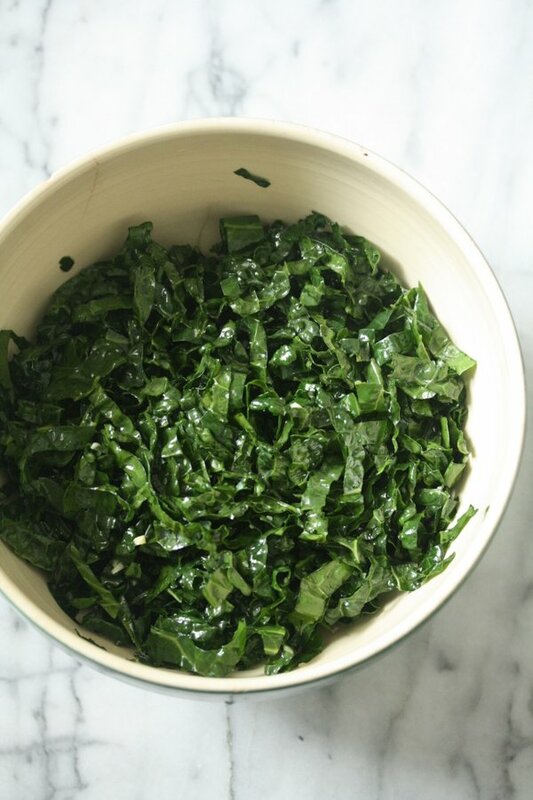 Since I knew I couldn’t go cold turkey, I gave Bittman’s VB6 a test drive back in March. What I discovered was that I’m already eating vegetarian for the most part 50 percent of the time. As much as I hate to admit it, by the end of the experiment I felt like I had a lot more in common with those French, bleeding-heart vegans than their Paleo counterparts—the Crossfitters crushing beef jerky at snack time. 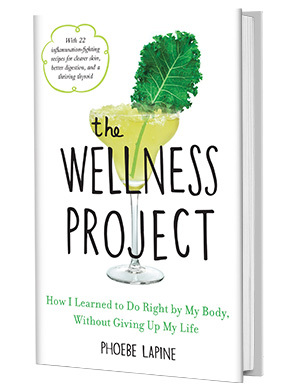 In fact, one of the side effects I found most rewarding was knowing I was doing my small part for the green movement and for the health of animals. You can save more water by not eating a pound of beef than you would by not showering for six months (which is particularly relevant now). And forgoing your weekly burger is the equivalent of taking your car off the road for 320 miles. As cheesy as it sounds, or whatever the vegan equivalent of that phrase, going without meat for half my weekly meals made me feel like was doing my small part to fix a very big problem. So I was particularly excited when Gardein approached me to partner on a Meatless Monday cooking class with a group of 30 editors. One of the things I like most about the brand is that they recognize that, like me, most people aren’t going to become vegan overnight. And they’re not trying to turn people vegan. They’re just trying to provide people with a delicious way to enjoy their favorite foods in a way that’s better for you and the planet. With packaged foods, I love making the distinction between gateway cooking products (things that make cooking easier and more accessible) and no-effort fixes (think microwave ramen, or anything else that detracts from you spending quality time with your stove). Gardein’s products not only fit the gateway bill for cooking, but for veganism too. They give you the taste, texture and nutrition of meat—without the negative impact on your health or the environment. In addition to the class, I developed 4 new recipes using their products: Crispy Fishless Taco Salad with Mango Salsa and Spicy Scallion-Cabbage Slaw, Peking Chick’n Lettuce Wraps with Kimchi Pickles, Beefless Moroccan Tagine with Sweet Potatoes, Chard and Chickpeas, and the below Greek Kale Salad with Chick’n. 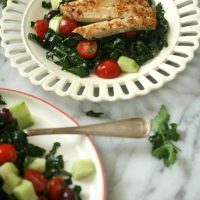 The Greek Kale Salad is a mash-up of two of my favorite salads, and it tasted amazing with the pan-fried Chick’n Scallopini, instead of the obligatory sliced grilled chicken breast, that makes a light salad feel more like a meal. The chick’n is non-GMO and gluten-free to boot, which is hard to find in the meat replacement aisle. Sadly, I couldn’t eat the Crispy Fishless Filets because they do contain gluten. But I came home one evening to find Charlie had raided my fridge and was chowing down on them. I’ve been trying to get him to eat less meat, and he recently started Vegan Before 6 as an experiment. When I told him he should take the remaining leftovers to work for lunch, he very sweetly looked at me and said: “Can’t babe. Vegan Before 6!” So needless to say these nuggies are dude-approved. I hope you’ll hop over to Gardein’s site to check out the other recipes, and try them out on your meat-loving loved ones. 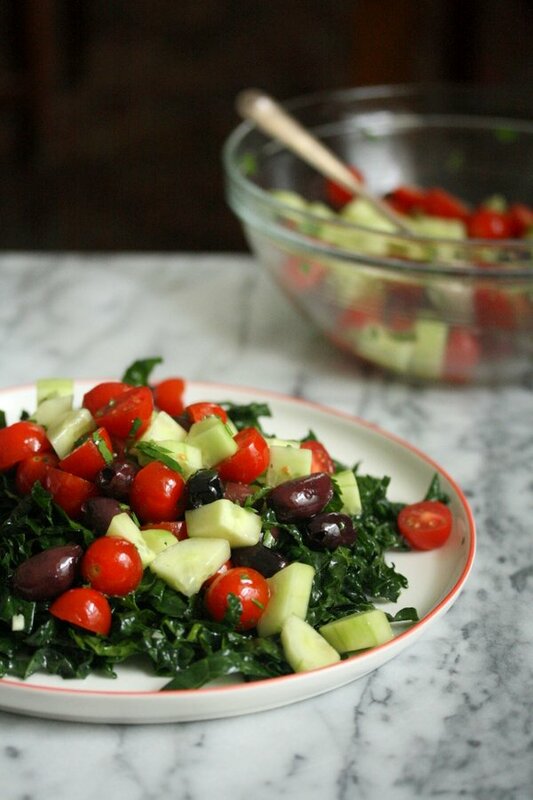 In a large mixing bowl, combine the kale, lemon juice, and half the olive oil and salt. 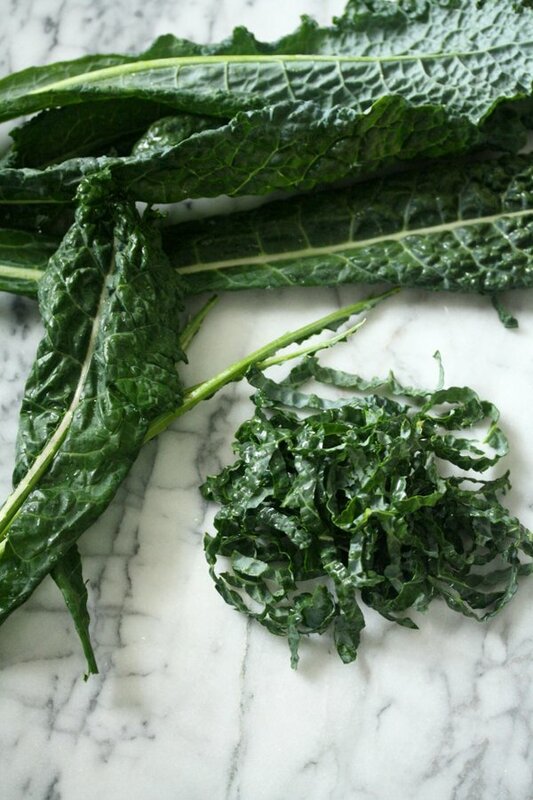 With clean hands, toss the kale until fully coated in the lemon mixture. 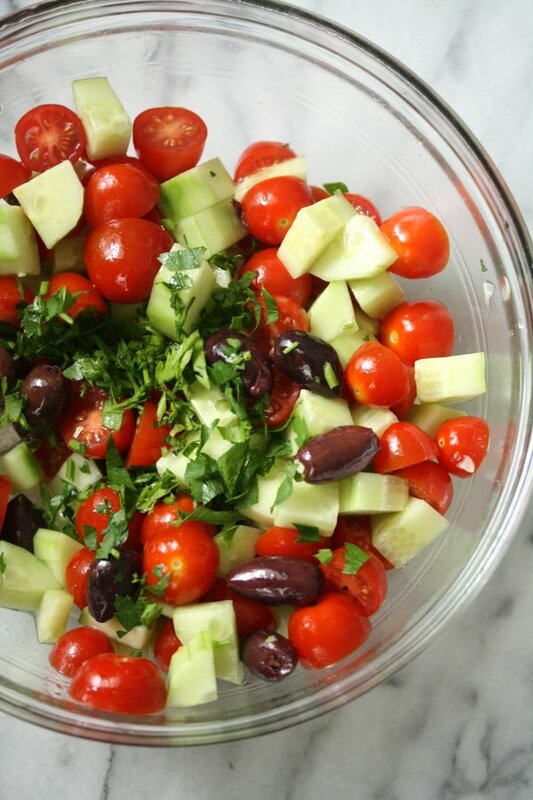 In a second mixing bowl, combine the tomatoes, cucumber, olives, parsley, vinegar, and remaining olive oil and salt. Toss to combine. Make the chick’n according to packaged instructions. Set aside on a cutting board and thinly slice. 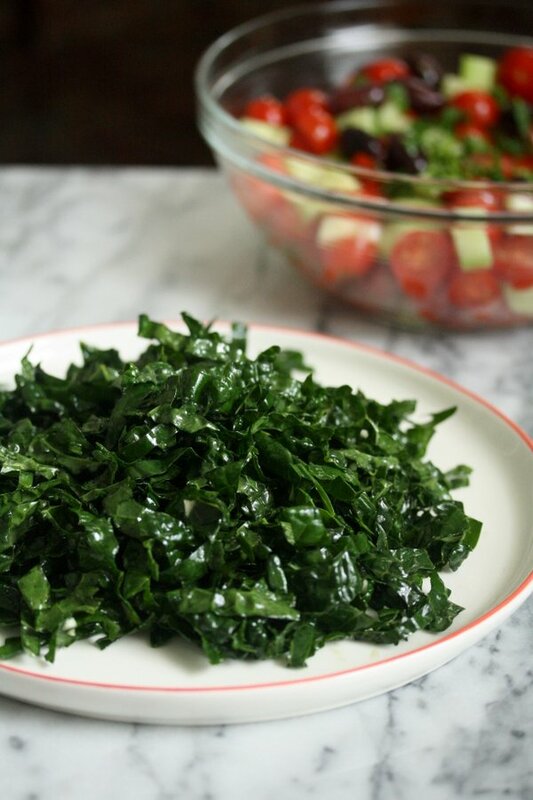 Divide the kale between 4 plates and top with the tomato mixture. 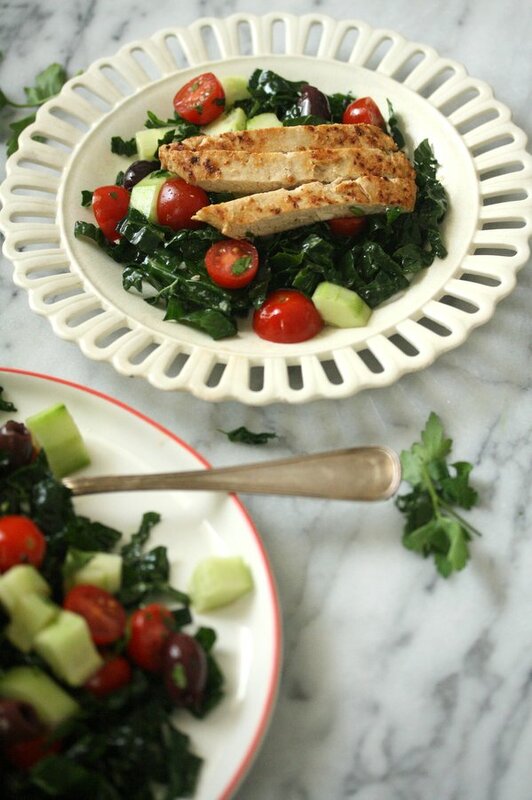 Arrange one sliced chick’n scallopini on top of each plate and serve immediately. I must say, I have tried a lot of vegan meat replacement products in my day and I have never seen anything that looks so convincingly like meat as this one does. It must be good! Wish I could try chick’n but I don’t like that it uses all that sugar. We don’t have chick’n here, so we’ll have to use a regular organic chicken:) But you’re right regarding the toxicity of most animal products today. That’s why we buy local food, from small farmers and fishers, mostly organic and all GMO-free. Thanx to the Aegean sea, we have the opportunity to use fresh smaller fish, like sardines or fresh larger ones like tuna. This fish from the Aegean is not contaminated with mercury so far, at least not in the toxic levels of the Atlantic fish. 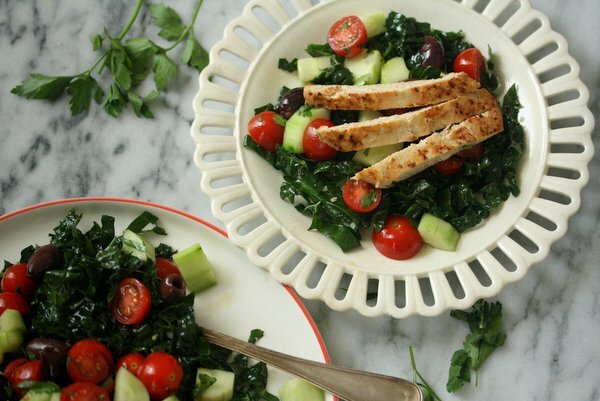 Now; Tha being said, and contrary to popular belief (cultivated by movies like “My Big Fat Greek Wedding”), the traditional Greek diet has very little meat dishes. 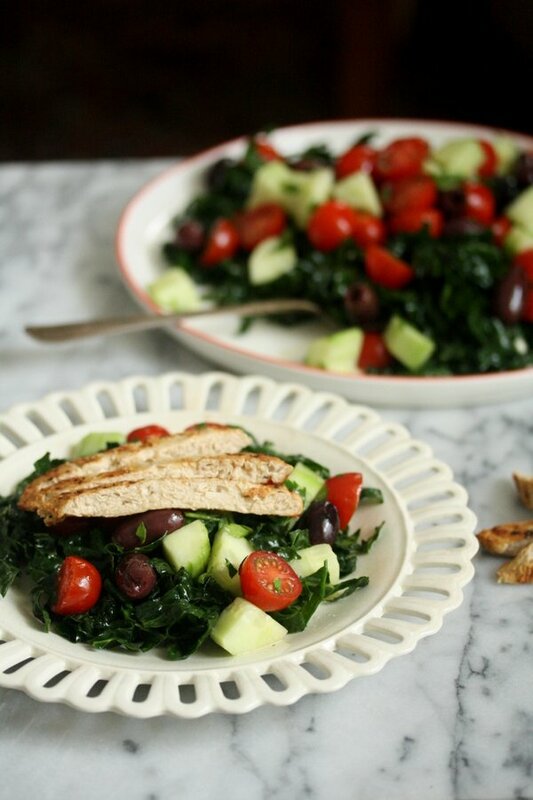 90% of the dishes is vegetarian, usually cooked vegetables served with bread and feta (like the ladera category). Legumes are also extremely popular, even today. The meat commonly consumed was chicken; pork was used in the Christmas/New year period and lamb/goat in the Easter. Nowadays (unfortunately) we also consume lots of beef in the form of burgers here as well. This has led to a decline in the overall health and it’s also bad for the environment like you mentioned. Thank you for the wonderful recipe Phoebe! Lots of Greetings from Athens!